…in adults 55 and over. A cataract is the clouding of the lens of the eye. Normally, light passes through the clear lens and is focused onto the retina. However, as a result of the aging process, the lens becomes cloudy, which is called a cataract. The cataract blocks the passage of light through the eye and causes blurred vision. Most people notice increasing difficulty with night vision and an overall decline in vision as cataracts progress. 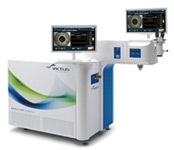 Laser cataract surgery today involves the use of the VICTUS Femtosecond Laser Platform. This is a highly advanced system designed to provide greater precision than manual cataract surgery techniques. The Femtosecond laser emits optical pulses of extremely short duration in the domain of femtoseconds, as short as one-quadrillionth of a second. These ultra-short pulses do not transfer heat or shock to the material being cut and can make surgical incisions with extreme precision. The technology allows more precise incisions than can be made manually, which results in improved patient outcomes. Once the cataract is removed it is replaced with an acrylic lens called an intraocular lens implant (IOL). Recent advances in IOL’s have been so significant that new generation implants can correct astigmatism, distance vision or give a full range of clear vision. Standard Monofocal IOL’s deliver vision at one distance (usually far). The potential drawback is the need to wear glasses for near vision after surgery. Some patients choose monovision in the non-dominant eye to eliminate the need for readers. The Akreos® Microincision IOL is made of hydrophilic acrylic material and has been used safely in more than ten million eyes worldwide. The 1.8 mm microincision improves healing time and comfort post-operatively. Multifocal IOL’s have multiple vision zones to provide vision at various distances, similar to a bifocal or trifocal lens inside the eye. The TECNIS® Multifocal lens is for patients who desire near, intermediate and distance vision with decreased spectacle dependence. Some patients have halos with night driving and there is a period of adaptation to the new visual system. The Tecnis Symfony and Symfony toric IOL’s (Abbott Medical Optics) feature a new technology for patients with cataracts as an alternative to monofocal or multifocal intraocular lenses. The Symfony incorporates an innovative diffractive design with achromatic technology that provides an extended range of vision. With this new technology lens, patients will achieve good continuous vision from distance to approximately arm’s length, but for close distances, they may need reading glasses with 1.0 D to 1.25 D of near add power. Patients who consistently use smart phones, tablets and computers are ideal candidates for the Symfony IOL because it provides great intermediate vision. Symfony is also available as a toric IOL with the same extended range of vision as the standard version. Toric IOL are indicated for the visual correction of pre-existing corneal astigmatism. The implant improves uncorrected distance vision, although patients will still require glasses for near work. The Acrysof® and the TECNIS® TORIC are approved for patients with a greater than 1 diopter of astigmatism. Dr. Konowal utilizes the ORA System ™ with VerifEye+™technology for guidance and verification for cataract refractive surgery. 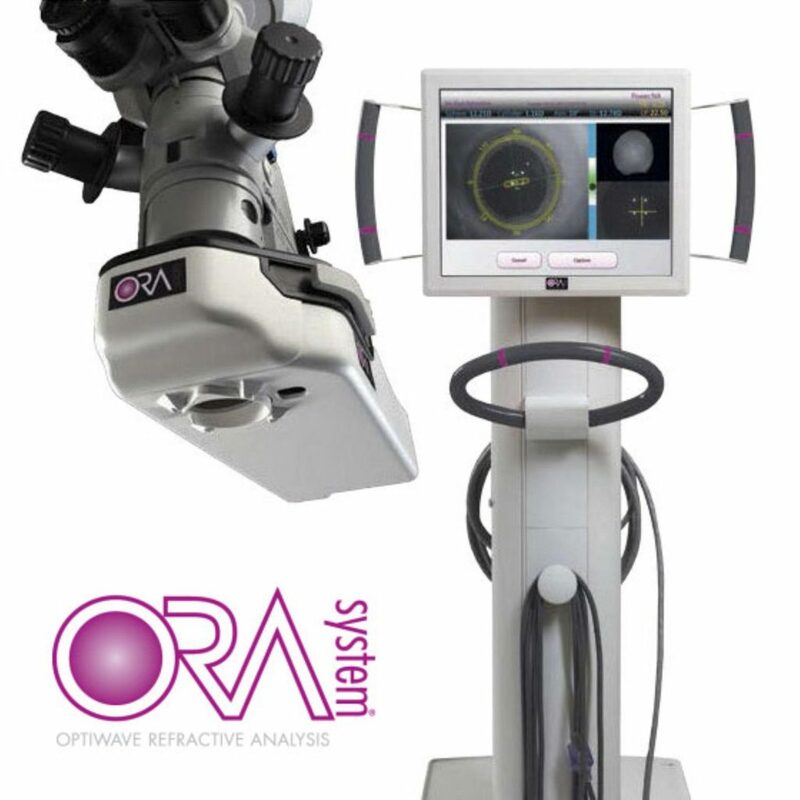 The ORA technology utilizes laser interferometry to perform measurements of the corneal curvature and axial length of the eye during cataract surgery to assist in choosing the most accurate intraocular lens implant. The ORA system is especially useful in patients with astigmatism and in patients that have had prior LASIK or other refractive surgery. The wavefront technology optimizes any cataract procedure to ensure the best possible outcome. The state-of-the-art device provides an unprecedented new level of accuracy to help reduce the chance that you will need to wear eyeglasses after cataract surgery. Cataracts are usually part of our normal aging. The average age for cataract surgery is 72 years old. Cataracts can be caused by eye injury, smoking, overexposure to sunlight or by use of steroids. Diabetics tend to develop cataracts sooner. A cataract can develop in one eye or both eyes. When should a cataract be removed? Cataract surgery should be performed when vision is interfering with activities of daily living. The inability to see road signs clearly, read a book or recognize faces are a few reasons for surgery. Cataract removal is one of the most common procedures performed in the USA, and is one of the safest and most effective types of surgery. In fact, Dr. Konowal’s patients resume normal activities, including driving a car the next day. Dr. Konowal can perform cataract surgery in less than 15 minutes. No needles or injections are given around the eye and there are no stitches to remove. Patients go home with no patching of their operated eye. Dr. Konowal orders a light sedative called “twilight sedation.” The Anesthesiologist will be in the operating room with Dr. Konowal to monitor you during the procedure. This sedation leaves your body very quickly, and many patients feel like going out for breakfast afterwards. Since cataract surgery is medically necessary, it is covered by your medical insurance. Dr. Konowal accepts assignment from Medicare and most insurance companies. If you have Medicare and a supplement, patient is still responsible for any deductibles and/or co-insurances. Patient is also responsible for the cost of prescription drops before and after surgery. Wearing polarized sunglasses, may help slow progression of cataracts. Smoking has been known to cause yellowing of the lens. Studies show nutrition is beneficial in preventing all disease. When the surface of the cornea has an uneven curvature which causes blurred or distorted vision because of light rays are not focused at one spot to provide clear vision.